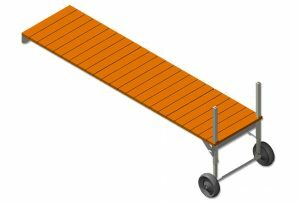 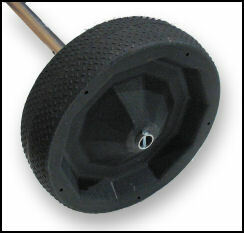 This Roll-In Dock is our most popular dock. 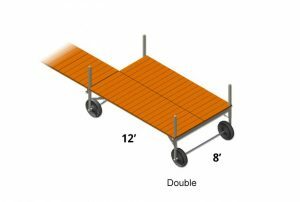 See why in our installation video, where you can watch two people install 86 feet of portable dock in 27 seconds. 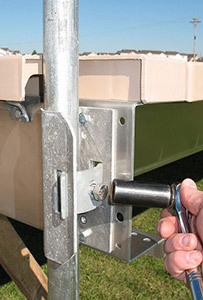 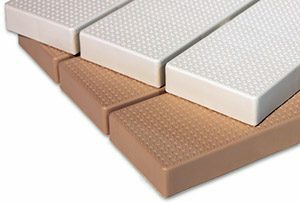 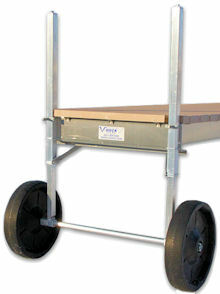 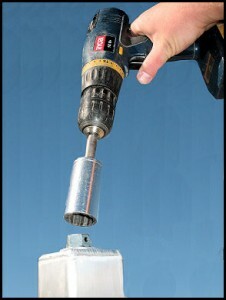 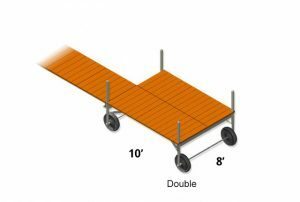 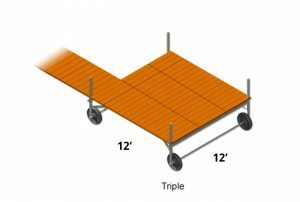 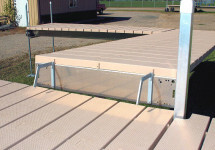 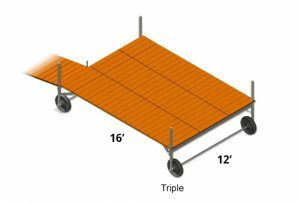 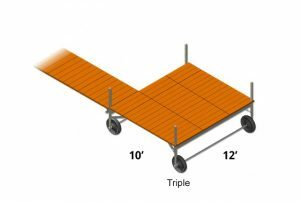 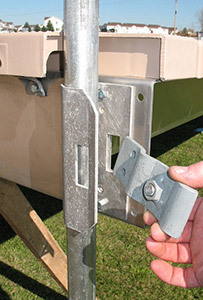 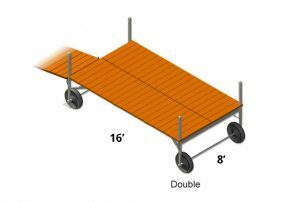 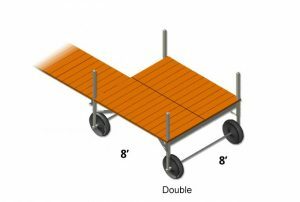 Thanks to our unique V-Beam support and connecting pins, V-Dock’s Roll-In Docks are known for their easy installation, and excellent stability. 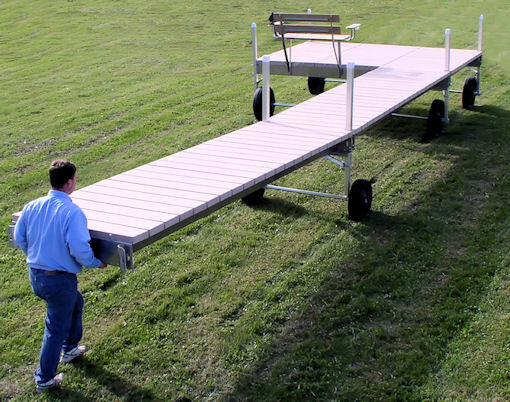 Simply walk it into position, or use a vehicle with a tow-bar to do it for you. 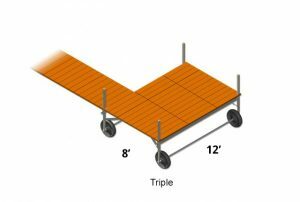 You’ll stay dry when you add it to your shoreline, because all adjustments are simple and can be made from the top of the deck. 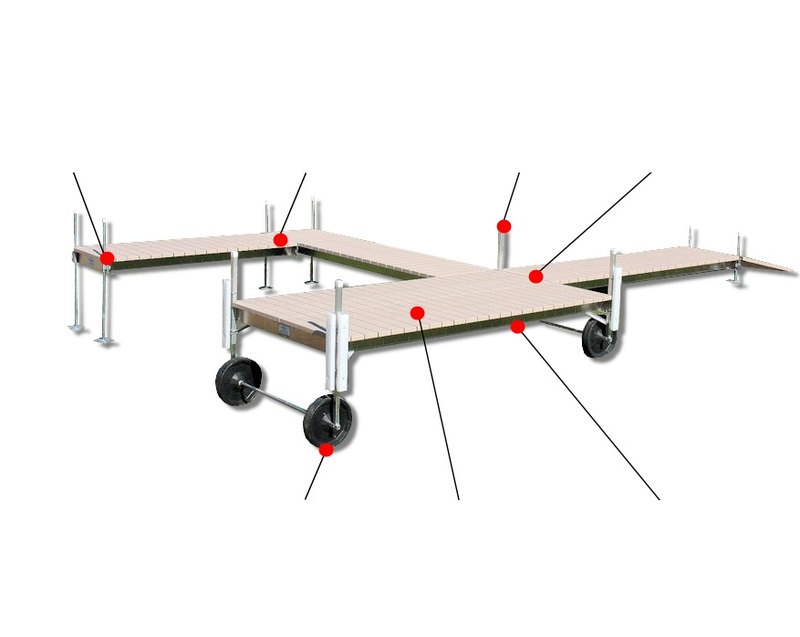 You won’t spend the weekend putting in your dock. 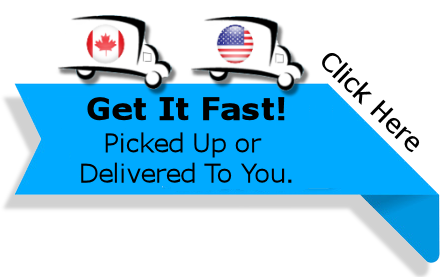 You’ll have time to enjoy it too. 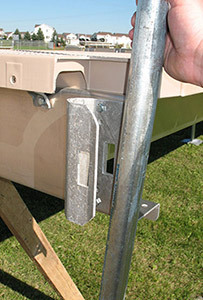 Due to the Screen Size Features and Benefits May Not Be Visible on Mobile Devices. 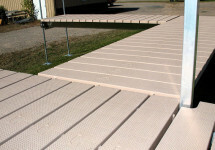 Roll In and Out With the Decking On.